Reduces and absorbs excess sebum giving the complexion a healthy, shine-free glow. 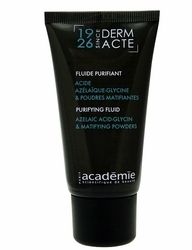 Its light and non-greasy texture penetrates quickly leaving the skin hydrated, radiant and matt. This serum reinforces the skin's natural defenses, reduces redness and calms irritations. - The skin is hydrated, matt and radiant. - Morning and/or evening, on a cleansed skin, apply with light massage movements over face and neck.